The Hibike! Euphonium anime is officially over, or is it? The latest issues of Nyantype and Megami magazine have revealed two new visuals for the anime adaptation of Ayano Takeda and Nikki Asada’s Hibike! Euphonium (Sound! Euphonium) novel series. 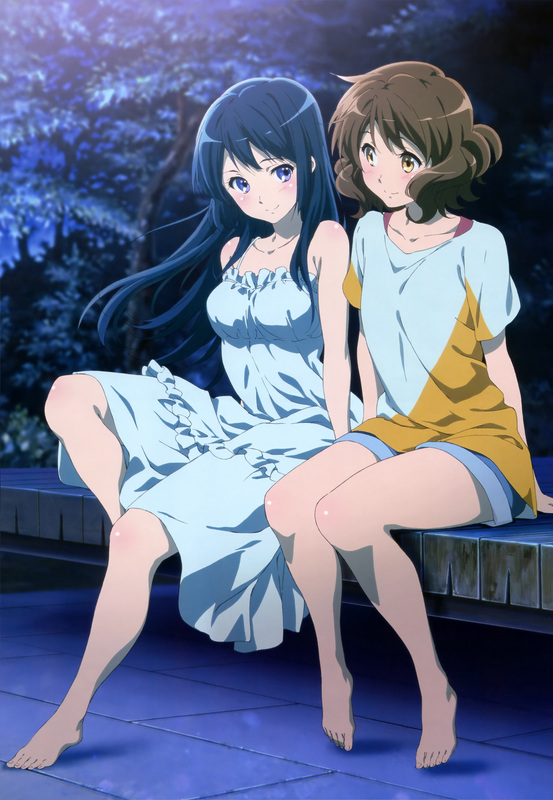 The new visuals tease what fans really want after the anime’s completion, Kumiko and Reina. Hibike! Euphonium: Kitauji Koukou Suisougaku-bu e Youkoso (Sound! Euphonium) is a music novel series written by Ayano Takeda and illustrated by Nikki Asada. The series began in December 2013 being published by Takarajimasha. To date a total of 3 volumes have been published. A manga adaptation of the series was launched in November last year, by Ayano Takeda and Hami that is being published in Takarajimasha’s Kono Manga ga Sugoi! Web magazine. The Hibike! 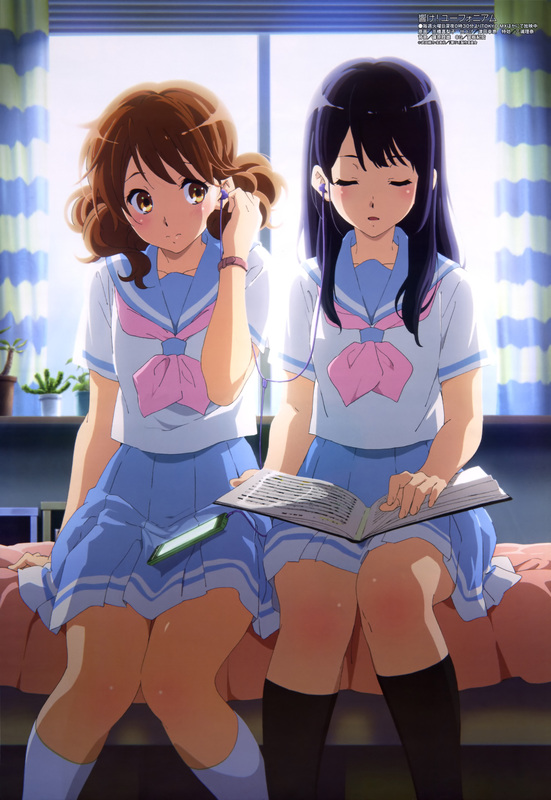 Euphonium anime has currently finished its initial broadcast. An OVA of the anime will be released in an upcoming Blu-ray and DVD release. A continuation of the anime has not been revealed so far.